Chicken and Dumplings are the ultimate comfort food and you will love this easy homemade recipe. 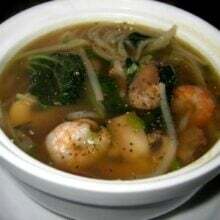 The dumplings are tender and absorb the savory broth and every bowl is filled with chunks of chicken. 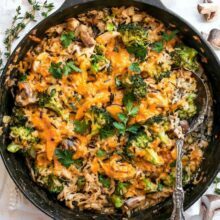 This hearty meal is a family favorite! Are you ready for some comfort food? I certainly hope so because we are sharing the BEST Chicken and Dumplings recipe today. This old fashioned chicken and dumplings recipe is made from scratch, but don’t let that scare you, all of the steps are easy to follow and the end results are SO worth it. 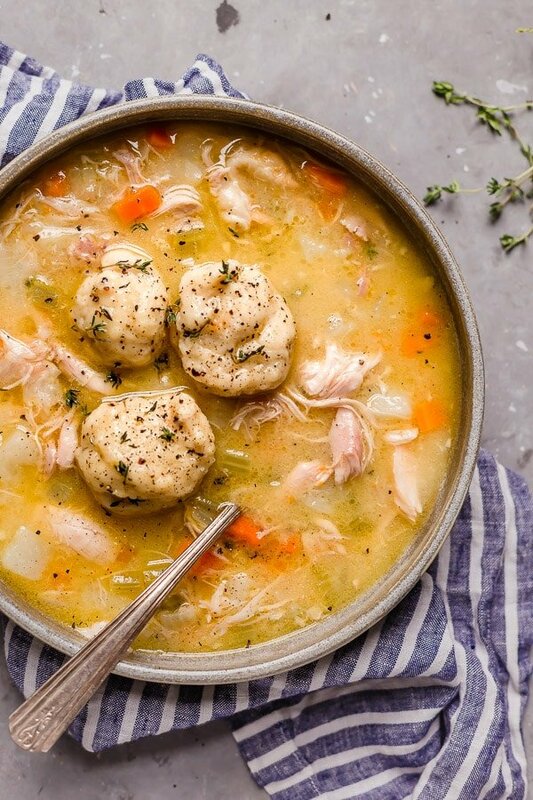 You can’t go wrong with a big bowl of chicken and dumplings, it’s like wearing your favorite cozy sweater on a chilly day…but maybe even better. 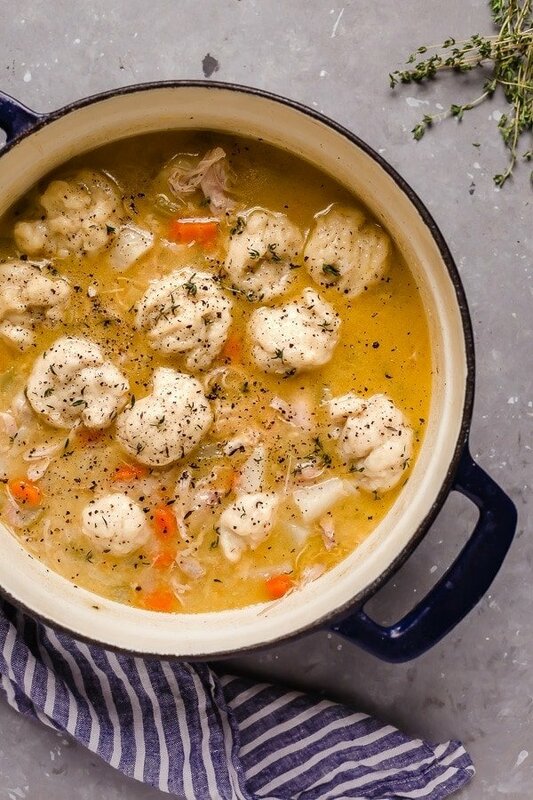 Chicken and dumplings are all kinds of cozy. This recipe combines chicken, vegetables, flavorful broth, plump and tender dumplings, the perfect recipe for a warm and filling meal. This chicken and dumplings recipe comes from Chrissy Teigen’s new cookbook, Cravings: Hungry For More. I LOVED Chrissy Teigen’s first cookbook so I knew I would love the second. It is just as good, if not better. It is filled with delicious recipes and gorgeous photos, which will for sure leave you hungry for more. And I am such a fan girl of Chrissy and John, they are major couple goals and have the cutest little family. This cookbook is a winner and I think you will agree after you make the easy chicken and dumplings. Josh and the boys LOVE them! To make chicken and dumplings you start with a whole chicken’s worth of chicken, bones and all. You use the chicken to create the most amazing broth for the soup AND you shred the chicken so the soup has nice, big chunks of chicken. First, season the chicken with salt and pepper and sear it in a big Dutch oven. Add water, bay leaf, thyme, rosemary, salt, and bring to a boil. Reduce the heat and let simmer for an hour. While the chicken is simmering, you have my permission to take a nap or read a book. Strain the broth, using a colander, and discard the fat, if you wish. Use two forks to pick the chicken off of the bones. Next, you will sauté onion, carrots, and celery and add in the broth, chicken meat, potato, and cook until the broth thickens, this will take about 20 minutes. At this point, you can stir in some heavy cream to make the chicken and dumplings extra rich and creamy. I say go for it! Bring on the extra comfort. While the broth is simmering, make the dumpling dough. Dumplings are easy, you only need an egg, milk, butter, flour, baking powder, and salt. The key to making fluffy dumplings is to NOT over mix the dough. The batter will be thick and that is ok. If you over mix the dumpling dough you will end up with tough dumplings and nobody wants a tough dumpling. Spoon the dumpling batter into the simmering soup and cook until the dumplings are fluffy and tender, about 15 minutes. Divide the soup into bowls and enter the comfort zone! Chicken and Dumplings are the perfect recipe for a chilly day or for when you are just craving GOOD comfort food. We like to make this recipe on the weekends because it does take a little time to make, but it’s not hard, I promise. 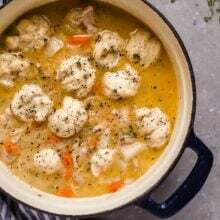 So make chicken and dumplings on a Saturday or Sunday and you can eat leftovers during the week, if there are any:) The soup is hearty enough for a main dish. You can serve a salad on the side or roasted Brussels sprouts. Chicken and dumplings are always a family favorite dinner! 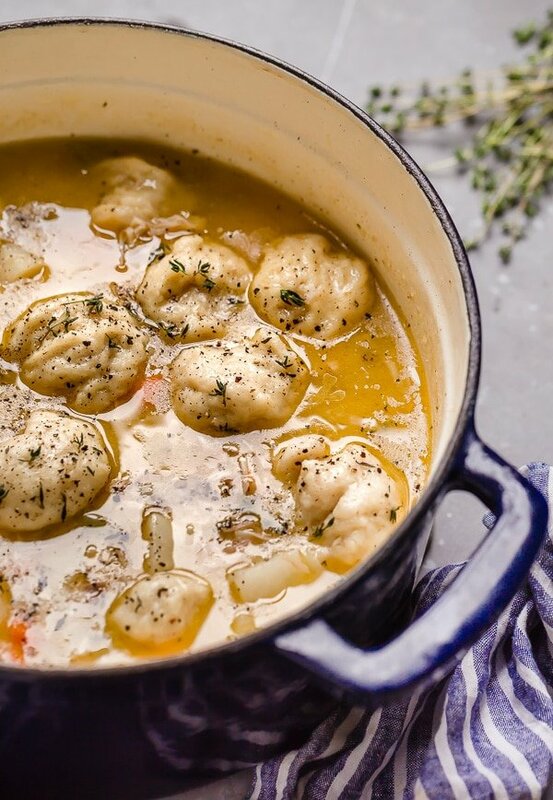 You will love Chrissy Teigen’s Chicken and Dumplings recipe, it is perfection and you will really love her new cookbook, Hungry for More! Make sure you check it out! Homemade chicken and dumplings are comforting, delicious, and a family favorite meal! Make the Soup-Pat the chicken dry with paper towels and season generously with salt and pepper. In a large Dutch oven, heat 2 tablespoons of the oil over medium-high heat. Working in two batches, brown the chicken until golden, about 4 minutes per side. If the pot is looking a little dark on the bottom, splash some water and scrape up any browned bits between batches, and keep those juices with the chicken. Return all the chicken to the pot and add 8 cups water, the bay leaf, thyme, rosemary, and 1 tablespoon salt. Bring to a boil, reduce the heat to a gentle simmer, and cook for 1 hour. Strain the broth through a colander set over a large bowl (there should be about 8 cups liquid; skim off some of the fat if you want). Discard the bay leaf and herb sprigs. Using two forks or a pair of tongs, pick the chicken meat off the bones (discard the bones and skin and set aside). In the same Dutch oven, heat the remaining 2 tablespoons oil and the butter over medium-high heat. Add the onion, carrots, and celery and cook, stirring, until the carrots begin to soften, about 6 minutes. Add the flour and cook, stirring, until all the flour has been absorbed and darkens a bit, about 5 minutes. Add the strained broth, the chicken meat, and the potato, bring to a boil, then reduce the heat and simmer until the broth thickens, about 20 minutes. Stir in the cream, if using. Season to taste with salt and pepper. While the broth simmers, make the dumpling dough-In a small bowl, whisk together the egg, milk, and melted butter. In a large bowl, whisk together the flour, baking powder, and salt. Pour the wet ingredients into the flour mixture and stir gently with a fork until just incorporated (the batter will be thick; don't overmix, which could toughen the proceedings). Spoon 1 tablespoon of the batter and use a second spoon to push it off into the simmering soup. Repeat with the rest of the dough. Cover and cook until the dumplings are fluffy and tender, about 15 minutes. Divide the soup and dumplings among bowls. 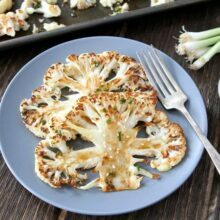 Garnish with parsley and enjoy! 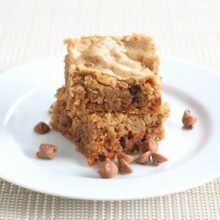 I have yet to get my hands on her second book but after this recipe, you’ve convinced me! Looks so delicious, pinned! Winner, winner—chicken and dumplings dinner! Made this last night with homemade bone broth I had frozen and shredded chicken, it was DELICIOUS! My picky girl even had seconds! Glad you enjoyed the recipe! Thanks for letting us know! Our family liked the leftovers!! Could you use plain Greek yogurt instead of heavy cream to thicken the soup? Looks delicious-making tonight! Thanks! I think that sounds good! Make sure you mix it in well so the Greek yogurt doesn’t clump up. Start with room temperature yogurt to help it melt in! Thanks for posting this tasty recipe. Looking very tasty. Glad you are loving the book. Yes, the dumplings go in after the cream. I hope you like them! These are fantastic! I had to add more seasoning, and I think I would probably double the flour for thickening. I’ve made this twice now w/ no leftover to be had!! I did a few things diffrently: I added full teaspoon of the thyme and rosemary to the chicken while it cooked. For the dumplings, I seasoned them by adding 1/2 tsp black peppar and sage along w/ 1 tsp of parsley. My boys were fighting over the last few spoonfuls of the soup and dumplings. Thank you for such a wonderfully satisfitying dish. Love ,Love ,Love..I am so happy with the different recipes..I will make a lot of them..Haven’t yet.. This recipe was delicious; the flavor is incredible. This will be a staple in our house. Thanks, Maria.